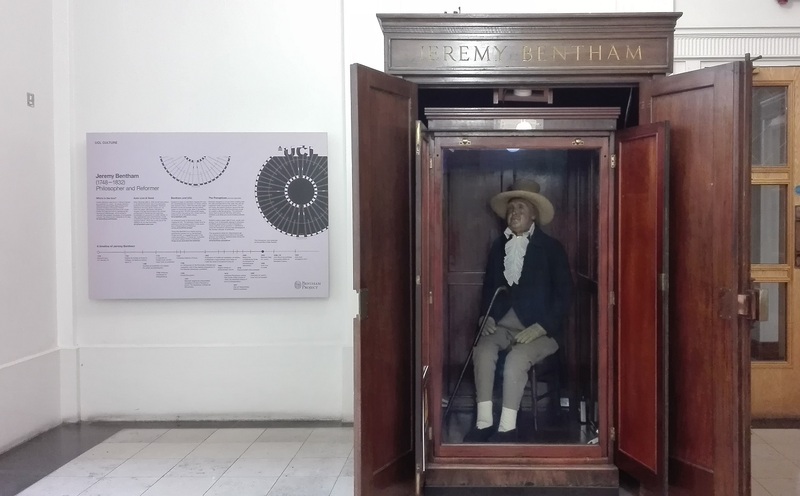 Jeremy Bentham is back from his travels. (At least, he should be, I can’t find anything to confirm or deny the fact.) He’s had a lovely long holiday in New York, though I don’t suppose he saw many of the sights, given that he’s been dead for 186 years. And travelled without his head. 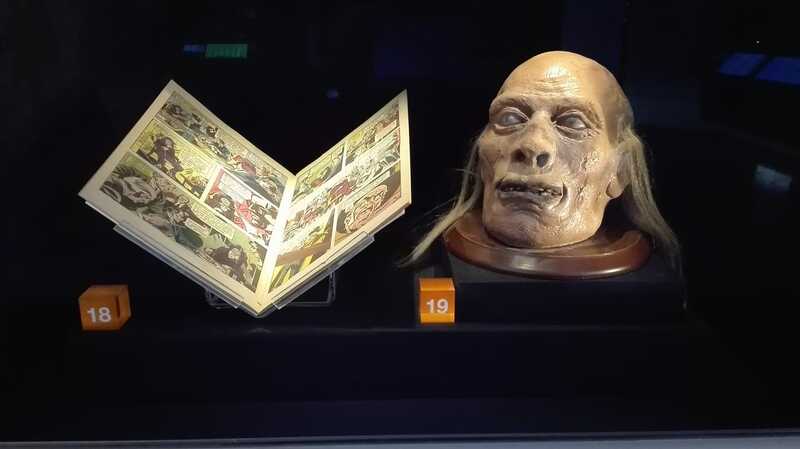 He was instead provided with a wax head, which looks considerably more like him, and now sits in state in a wooden cabinet at University College London (UCL). Legend has it that he used to attend UCL Council meetings, and that his attendance was recorded as ‘present but not voting’. Sadly, this blog post strongly suggests that the legend is not true – though it records an occasion, in 2013, when it definitely was true. In March, Jeremy travelled to New York to participate in an exhibition there on ‘Sculpture, Color and the Body‘, but should now be safely home again ready to receive a new intake of UCL students. Definitely one of the oddest things you can visit in London – so what are you waiting for?